Our feelings can, at times can bring us ecstatic joy, but during other times they can also be a lot to bare. No matter what we are feeling it is best advised to sit with them, be with them and not run away or distract ourselves from them. There is often a message from the divine in these feelings - yet don't always expect this "message" to be something that is instantly understood. It can be a lifetime before we understand, conceptually, what it was that the universe was trying to tell us (you have to understand that the universe does not know time, becuase essentially there is no time, except for the measurements adhered too in the mind). If we cloud our selves in distractions, if we numb ourselves with intoxicants (drugs and alcohol), over consume material (excessive eating, excessive shopping), or dissociate from our feelings by over indulging in escapist activities (excessive television, internet exploration, a reliance on tomorrows, vacations, etc) we hide from the emotions that are sitting in the seat of our souls. We can "stuff" these emotions, however unwanted, into the back of our unconscious, where they are out of sight out of mind...but they still linger within us and actually lower our ability to resonate at a higher level of conscious awareness. It takes a lot of psychic energy to store unwanted emotions in the unconscious body. And the reason why they lower our ability to resonate at a higher conscious awareness is becuase when our energy is stored in the unconscious reservoir of our being we operate, more so, from a reactive stance. I understand your escape, for I have, at times, escaped like anyone else. To sit with the energy that feels unwanted is simply troubling. Yet escapism only clogs our conscious awareness...and these troubling feelings take root in our unconscious reservoir. We are more prone to reaction than, as opposed to conscious behavior, becuase we have a limited scope of perception. Just like the clogged artery that can not transport blood as easily, neither can the reactive mind transport consciousness from the soul into the body. We become reactive becuase our awareness first needs to pass through the unconscious filter that has accumulated these troubled emotions. This is what Eckhart Tolle refers to as the emotional pain body. This "emotional pain body" can severely affect our conscious awareness and make us more reactive for in our reaction (living life on auto-pilot) we bypass the troubles that are weighing us down. Our defenses allow us to function, however from a reactive state (and do we not see any correlation between the majority of us being in a sleep state and the perpetuation of Earth destruction, human destruction, and the like?). The more defensive we are the more bottled up we are...and the more bottled up we are the more reactive we are...the cycle builds...But is 2012 our release? Because it is becoming clear to me that more people are having existential breakdowns than ever before (and more people more than ever before are becoming emotionally desensitized and affectually closed off)...yet for those who are breaking down you are choosing to SEE. This breakdown, however troubling, awakens us to the ONENESS REALIZATION. We can only heal ourselves and the world when we realize this. We may even have a calm mind during these troubling times. We may even know exactly what is going on, yet the body is feeling tense, anxious and the like. The body may be in a depressed state. But what is important that we do, that is if we want to move beyond and transcend...to evolve consciously through these experiential undertakings...is to "digest" these feelings. And one can do this in any way that allows them to be present. Some may want to meditate, some may want to walk, others may want to communicate through written or spoken word, either in solitude, or with others. Some may want to create music or art that portrays these feelings. This "release" is "digestion" for it allows us to transcend these feelings for we are accepting them through the declaration of their existence. It is our preference how we "digest" and there is no right way, But in order to really move beyond the feelings that have us in a troublesome state, it is important to "walk through" them..."digest them" so that they are understood (not necessarily conceptually)...and subsequently evolve consciously. [Remember, consciousness does not necessarily mean that we have too know something conceptually...we can be conscious of something...we can "know" something, and yet not know how to put words to it]. Consciousness and sensitivity are in many ways two branches of the same limb. Sensitivity is an experience by which we sense the inner and outer stimulus of our human experience. Consciousness is an awareness of both the inner and outer human experience. The more sensitive we become the greater our capacity to be conscious is. For conscious awareness is like a light in the dark...the more sensitive we become...the more we illuminate around us...the more we see and sense the ALL that is around us. And for those who are becoming increasingly sensitive to the world around them they are beginning to feel the "weight" of the world. Essentially, if we always were sensitive to everything that was going on there would be no need for "transformation" and this movement into the new dimension (as we move into and out of the year 2012) would be an "easy" one. Yet it has been our collective apathy, our collective unconscious build up of suppressed emotions and energy that is making this transition (2012) a particularity heavy one in the spectrum of universal awakening. The light bearers (who potentially, can be anyone who chooses to see the light, the all, etc), are now feeling feelings so heavy. They are, at times (like now during the Mercury Retrograde: http://www.alphalifetrends.com/mercuryretrograde.html), digesting feelings for many instead of just themselves...this is what is meant to feel like you have the weight of the world on your shoulders. So too all you sensitive ones out there...know that you are brave, know that you are strong, know that this is your destiny...for in your experiential undertaking you will come to know the what IS. You will know experientially what collective and individual transformation is to a very serious degree. Remember nothing is random...The dichotomy exists that this transition did not to be as heavy...yet here we are at the crossroads of infinite possibility...what will you do? Run and hide from the feelings that have you down, or choose to own them, feel them, and congregate with like minds? 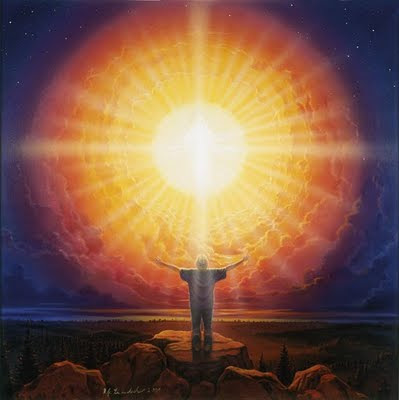 Because when those of the light choose to come together, their light, their consciousness is magnified. Essentially, the "transition" that is occurring now will not be done alone, but rather it will be done collectively. Yet it is up to all of us to lend our hands, even to those who loath in the rewards reaped through the destruction of the human mind and the Earth, and come together in the "ONENESS realization." But remember, all you can do is lend a hand...you cannot expect anyone to take it. Have a faith, a "knowing" that these feelings are for the betterment of your spiritual awakening. Remember there is nothing random going on here. Everything that is occurring, everything!, is for you! So awaken to the knowing that your experiences are a gift, even if they are unwanted, even if they are hideous, for life and our experiences are the gifts which enable soul to experience life beyond concepts. To be alive is a gift...so have faith that these feelings and these experiences are just for you...Have faith that you have the courage to get through them. In fact you inherently have the courage, you are inherently "strong" enough for anything you experience. It is soul...it is the divine, that brought you into contact with whatever it is your experiencing. Soul, the seat of creation, would not have brought you anything which you can't handle. Because even in the wake of death you can handle anything...for the soul is forever.